Born out of the desire to put the creativity back into denim, Denham was formed in Amsterdam in 2008. With jean maker Jason Denham at the helm, this brand champions the time honoured craftsmanship of denim, designing must have pieces that'll sit in your staple collection for years to come. Jeans are integral to most of our wardrobes; they're the easy-to-wear, comfy classic that is loved the world over. Denham commands this staple, creating a collection of jeans that range from timeless cuts to modern trend lead styles. Each is expertly crafted and tailored for great fit, with signature details such as the stitched scissor logo that add to their artisanal finish. Go for the ubiquitous staple with a pair of skinnies to wear with everything from slouchy tees to smart shirts, or look to fashion forward pieces such as flared jeans, which will embrace the latest love for the seventies. After making its mark in the world of denim, Denham soon moved past its staple jeans into a world of refined and relaxed pieces that will mix and match across your wardrobe. Beautiful chunky knit sweaters are offered alongside sweatshirts and loose-fit t-shirts. Mix their nonchalant style with pleated skirts and soft cotton trousers. 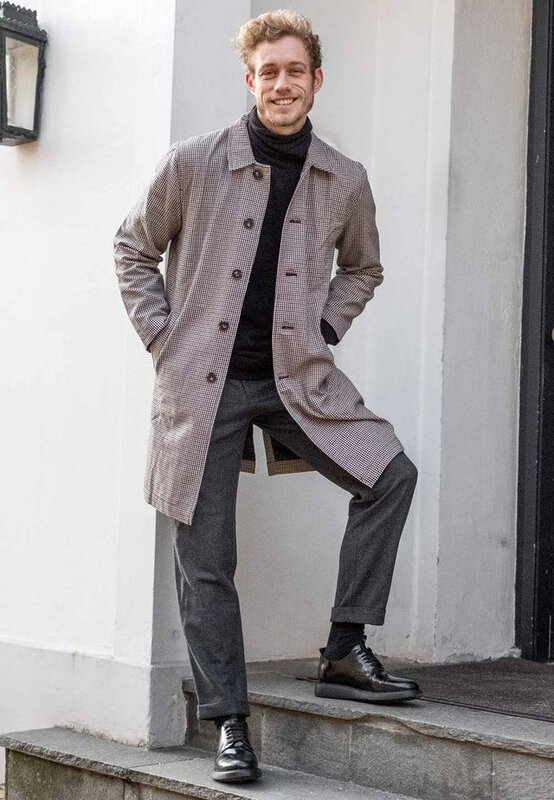 Outerwear flourishes into classic duster coats, denim jackets and tailored blazers, all of which can be dressed down with everyday dresses and jumpsuits, or dressed up with tailored trousers, cocktail dresses and heels. Look to the brand's tailored shirts and blouses to put a high-fashion spin on workwear. Tuck yours into a pencil skirt for the office.